Who are the best athletes of all-time who grew up in Michigan? That is a tough question with many possible answers. This list takes into consideration an athlete's stats, election to halls of fame, MVP awards, championships, all-star teams selections, winning percentages, success in multiple sports, etc. This list does not include professional or college athletes that grew up somewhere else but then became famous in Michigan (Sorry, Tom Harmon, Ty Cobb, Gordie Howe and many others). Being born in Michigan was not enough to make the list either if an athlete spent his formative years somewhere else (Sorry, Sugar Ray Robinson). However, being born in another state did not disqualify an athlete if he grew up or went to high school in the Great Lakes State. Limiting this list to 25 athletes was a challenge. I never like to snub a fellow Michigander, so to those greats that missed the cut, I apologize. There have been some great basketball players from Michigan, and Mr. Walker deserves to have his name mentioned with them. Walker grew up in Benton Harbor and led Benton Harbor High School to the 1958 Michigan High School Basketball Championship Game where his Tigers lost to future Hall of Famer Dave DeBusschere’s Detroit Austin Catholic team by 3 points despite Walker’s 25 points. Chet “the Jet” went on to Bradley University where he led the team to the 1960 NIT championship and was a two-time first team All American. He left Bradley as the school’s all-time leading scorer. He played 13 seasons in the NBA, making 7 All Star teams. Walker, along with Wilt Chamberlain, led the Philadelphia 76ers to the 1967 NBA championship. During his NBA career, Walker averaged 18.2 points per game and finished with 18,831 career points. In 2012, he was inducted into the Basketball Hall of Fame. In an era when many of the best college football players ignored pro football to pursue better careers, Harry Kipke hung up his football cleats after graduating from the University of Michigan and began coaching. In fact, Harry Kipke is the only man to serve as head football coach of both Michigan State and Michigan. Before he became a head coach, Kipke was an amazing multi-sport athlete at Michigan, earning a total of nine varsity letters in football, basketball and baseball. He excelled in football as a halfback and punter and was an All-American in his senior season. During his senior campaign, he served as team captain and led his team to an undefeated season and national championship. He later coached Michigan to two more national championships and became a regent of the university. Rick Leach was an All-State athlete in basketball, baseball and football at Flint Southwestern High in the 1970s. Leach then went to Ann Arbor to play for Bo Schembechler and was talented enough to convince stubborn and traditionalist Bo to start him at quarterback as a freshman. Leach started all four years at Michigan, finished third in the Heisman Trophy voting in 1978, and earned All-American honors. Leach also convinced Bo to let him play baseball for the Wolverines. As a baseball player, he also earned All-American and All-Big Ten honors and won the Big Ten batting championship in 1978. Despite his gridiron success, he chose baseball when it came time to pursue a professional career. His baseball career never took off, but he did manage to stay in the majors for ten years and even batted .309 in 110 games for the Toronto Blue Jays in 1986. Kiki Cuyler was one of the great hitters of 1920s and 1930s. He only played in one All Star game, but he probably would have played in many more if the All Star game existed during the first thirteen years of his career. He played an important role in his only World Series Championship with the Pittsburgh Pirates in 1925. He batted .357 that year and led the league with 144 runs. He batted above .300 ten times in his career and over .350 four times. Cuyler led the league in stolen bases four times. His career batting average of .321 is the 49th best career average in Major League history. Cuyler was elected to the Baseball Hall of Fame in 1968. Ron Kramer was born in Kansas, but his family moved to Michigan when he was five. He ended up at the University of Michigan where he earned a total of nine varsity letters, three each in track, basketball and football. He was a high jumper for the track team and the captain and career scoring leader for the basketball team, but football was his true talent. As an end for the football team, he was a consensus All-American in 1955 and 1956. The Green Bay Packers drafted him fourth overall in 1957. Kramer played ten seasons with Green Bay and the Detroit Lions. He was the member of two NFL champion teams with the Packers, and scored two touchdowns in the 1961 NFL championship game. He also was first team All Pro in 1962. Kramer is a member of the Green Bay Packers Hall of Fame and College Football Hall of Fame. Offensive lineman is the least glamorous but perhaps most important position on offense. Quarterbacks, running backs and receivers get all the acclaim, but they would not be able to do anything without the time and space that offensive linemen create for them. Joe DeLamielleure created plenty of time and space at Michigan State and in the NFL for the Buffalo Bills and Cleveland Browns. At Michigan State he was a two-time first team All-Big Ten lineman and was an All-American his senior season. With the Bills, DeLamielleure paved the way for O.J. Simpson's 2000 yard season in 1973, and was named to the Pro Bowl six times (only two other guards have made more Pro Bowls since 1970). In 1975, the NFL Players Association named him offensive lineman of the year. DeLamielleure was inducted into the Pro Football Hall of Fame in 2003 and was named to the Hall's All-Decade Team for the 1970s. John Smoltz was drafted by the Detroit Tigers in 1985 but was traded to the Atlanta Braves for Doyle Alexander to help the Tigers' 1987 pennant run. Short-term, it was a decent trade, but the trade worked out much better for Atlanta. Smoltz became part of a starting rotation that helped the Braves win the 1995 World Series and five NL championships between 1991 and 1999. His career record was 213 wins to 155 losses. Smoltz won the 1996 Cy Young award with a 24-8 record, a 2.94 ERA and 276 strikeouts. In the late 90s, injuries set Smoltz's pitching back, but he returned to the Braves as a closer in 2001 after ligament surgery. He then became a dominant closer. Smoltz set a NL record with 55 saves in 2002 and followed that campaign with 45 saves in 2003 and 44 saves in 2004. Smoltz made 8 All-Star teams and currently is ranked 88th in all-time wins for pictures, 16th in career strikeouts, and 71st in career saves. Pat LaFontaine was born in Missouri but was raised in Waterford. He honed his skills with the Detroit Compuware midget team and then moved to Quebec Major Junior Hockey League for one year. The New York Islanders drafted him third overall in the 1983 NHL draft. In a sport dominated by Canadians, LaFontaine made his mark as an offensive dynamo during his 15 year NHL career with the Islanders, Buffalo Sabres and New York Rangers. Between the 1987-88 season and 1992-93 season, LaFontaine scored at least 40 goals each season with a career high of 54 goals in the 1989-90 season. LaFontaine also played on 5 All-Star teams. He finished his career with 1013 career points. He is ranked 52nd all-time in goals scored and 17th in goals per game. He was elected to the Hockey Hall of Fame. Of all his goals, his most famous occurred in the Easter Epic during the 1987 Stanley Cup Playoffs. His goal in the fourth overtime ended the longest Game 7 in playoff history. It was not his flashiest goal, but it is number one in the video below. Pat LaFontaine was not the first great athlete to graduate from Waterford Kettering High. Kirk Gibson was a star athlete at Kettering and was recruited to play football at Michigan State. Gibson was an outstanding wide receiver for the Spartans. In his sophomore and senior years, he led the Big Ten in receiving yards. He currently is second all-time in career yard per reception in the Big Ten. He was an All-American in football in 1978. He only played baseball at MSU during his last year, but then batted .390 with 16 homers and 52 RBIs in 48 games. The St. Louis Cardinals of the NFL drafted him, but so did his hometown Detroit Tigers. Gibson chose to pursue a professional baseball career. He was one of the most beloved Tigers on a team full of beloved Tigers. Gibson always seemed to come up with the clutch home run and hustled like mad in right field. After being drafted by the Tigers in 1979, he played in Detroit until 1987, then with the Dodgers until 1990. He spent one year each in Pittsburgh and Kansas City before returning to the Tigers from 1993 to 1995. He is now back in Major League Baseball as manager of the Arizona Diamondbacks. Gibson did not put up Hall of Famer numbers (his career batting average was only .268), but he was a Hall of Famer to every kid who grew up loving the Tigers in the 1980s. His greatest home run was not his home run to help the Dodgers win Game 1 of the 1988 World Series. Yes he was injured. Yes it was a walk off home run. But it was only Game 1. Instead, I give you his World Series clinching home run in 1984. I still remember jumping up and down with my dad and brothers in our living room chanting, "Goose Busters! Goose Busters! Goose Busters!" Also, I miss Sparky Anderson. One of the greatest managers the game ever knew. Hal Newhouser was a Detroit boy who pitched for his hometown Tigers from 1939, when he was 18, until 1953. He played one season for the Cleveland Indians after leaving Detroit. Some of Newhouser's best seasons were during the war years of the 1940s when many ballplayers were serving in Europe and the South Pacific. Newhouser had attempted to enlist but was turned away due to a poor heart valve. He was not inducted to the Baseball Hall of Fame until 1992, likely due to skepticism about his stats against "watered down" talent. However, Newhouser made seven All-Star teams and was AL MVP in both 1944 and 1945. He led the AL in wins in 1944, 1945, 1946 and 1948. He posted the best ERA in the AL in 1945 and 1946. From 1946 to 1949 (after the war was over), he won 82 games and only lost 49. Newhouser led the Tigers to the World Series championship in 1945. He went 25-9 with a 1.81 ERA during the 1945 season. Newhouser lost Game 1 of the Series but rebounded to win Game 5 and the decisive Game 7. Basketball legend Spencer Haywood did not move to Michigan until he was a teen, but it was in the Detroit Public School League that he began to flourish. In 1967, he led Detroit Pershing High to the Class A state championship. He then attended Trinidad State Junior College in Colorado were he average 28.2 points and 22.1 rebounds per game. Haywood then made the Olympic team and helped the U.S. to a gold medal in Mexico City, scoring 16.1 points per game with a .719 field goal percentage. After Mexico City, he returned to Detroit to play for the University of Detroit Titans. At U of D, he scored 32.1 points per game and averaged 21.5 rebounds per game and was an All-American. Haywood decided that it was time to turn professional, but the NBA would not take him due to a rule requiring an athlete to wait until his college class graduated. Haywood ended up signing with the Denver Rockets of the ABA. At Denver, he average 30 points per game and 19.5 rebounds per game and was named the Rookie of the Year and League MVP. Haywood perhaps made his biggest contribution to basketball in the courtrooms instead of on the basketball court. After his one season in Denver, he signed with the Seattle Supersonics of the NBA. The NBA enjoined him from playing in league games, so Haywood took the league to court and eventually triumphed, ultimately leading the way for many future pros to enter the league early. Haywood was allowed to join the Sonics at the end of 1970-71 season and averaged 20.6 points per game during the season's final 33 games. During his first full season in 1971-72, he averaged 29.2 points per game and 12.9 rebounds per game. Haywood ended up making four NBA All-Star teams. Despite diminished numbers during his last several years, Haywood averaged 20.3 points and 10.3 rebounds per game for his career. Jeter was born in New Jersey, but he lived in Kalamazoo from age four until he moved to Ann Arbor for one year to be a student at the University of Michigan. At Kalamazoo Central High School, he played both baseball and basketball and earned several 1992 national high school baseball player of the year awards. After his brief time at Michigan, he joined the Yankees' minor league system. After a few years in the minor leagues, Jeter joined the Yankees in 1995 for thirteen games before eventually becoming their starting shortstop as a rookie in 1996. In his rookie season, Jeter batted .314 and had 78 RBIs and was named AL Rookie of the Year. In 1996, he won the first of five World Series Championships with the Yankees. Jeter has been named to 13 All-Star Games. He batted .409 in the 2000 World Series and was named Series MVP. He has more than 3,300 career hits, good for 11th all-time. He also is ranked 13th all-time in runs scored. Eddie Tolan was one of the greatest sprinters of the early 20th century. He was born in Denver, Colorado, but his family moved to Detroit when he was 15. At Detroit Cass Technical High School, he excelled on the football field and the track. Tolan was recruited by several universities to play football, but he enrolled at the University of Michigan. At Michigan, he set a world record in the 100 yard dash and later broke the 100 meter dash record at a track meet in Canada. He also won the 220 yard dash NCAA championship in 1931. At the 1932 Olympic trials, he finished second to rival Ralph Metcalfe in the 100 and 200 meter races. However, he found his revenge at the Olympic Games in Los Angeles. The 100 meter race ended in a photo finish with Tolan declared the winner over Metcalfe. Tolan beat Metcalfe by a much more comfortable margin in the 200. He later became a professional sprinter and won the professional sprints championship in 1935. During his sprinting career, he won 300 races and only lost 7. Born and raised in Muskegon, Bennie Oosterbaan became a four sport star at Muskegon High. He was All-State in football and baseball. He led the basketball team to a state championship and earned All-American honors in basketball. He also won the state championship in the discus for the track and field team. At the University of Michigan, he was a five-time All-American, earning the honors three times in football and twice in basketball. He earned a total of nine varsity letters, three each in football, basketball and baseball. Highlights of his football career included leading the Big Ten in touchdowns during his sophomore year, playing on the defense that shut down Red Grange during a 3-0 U-M victory in 1925 (a year after Grange had humiliated the U-M defense), and passing for three touchdowns and simultaneously handing Ohio State a loss during the dedication game of Ohio Stadium. In Basketball, Oosterbaan led the Wolverines to back-to-back Big Ten titles and led the Big Ten in scoring during his senior season. In baseball, he earned All-Big Ten honors and led the Big Ten in batting in 1927. Despite offers to play professional football and baseball, Oosterbaan became an assistant football and basketball coach at Michigan. He eventually became head coach of each team and led the Wolverines to the 1948 National Championship in Football. Paul Krause was a star in football, basketball, baseball and track at Bendle High School. In 1959, he won the Class B state high jump championship, and was recruited to play football at the University of Iowa. At Iowa, he played football and baseball. He earned All-American honors in baseball and turned down an offer to play in the major leagues. In football, he played wide receiver and defensive back. The Washington Redskins drafted Krause in the 1964 NFL draft, and he immediately led the league in interceptions with 12 during his rookie season and was named to his first of eight Pro Bowls. Washington traded him to the Minnesota Vikings after his fourth season. Krause played in four Super Bowls with the Vikings. Krause still holds the NFL record for career interceptions with 81. In 1998, he was inducted into the Pro Football Hall of Fame. Floyd Mayweather was born into a boxing family in Grand Rapids. He grew up in Grand Rapids and quickly made his mark in the family business. He built an 84-6 amateur record and won three national Golden Gloves championships. Mayweather competed in the 1996 Olympics and earned a bronze medal after a controversial loss in the semifinals. On October 11, 1996, he fought his first professional bout at age 19. He won that fight and has not lost since. His record currently stands at 44-0. Mayweather has won eight world championships in five different weight classes. He is arguably the best active boxer in the world. Mayweather defends his title this Saturday night, but the outcome of this fight will not change his ranking on this list. In my opinion, there are three better fighters from the state of Michigan. Even though they do not have better records than Mayweather, they fought in eras when the competition was stronger. Despite the level of his competition, Mayweather is one of the greatest fighters to ever enter the ring and one of the greatest athletes Michigan has produced. George Gervin was born and raised in Detroit and starred at Martin Luther King High School. During his senior year he averaged 30 points and 20 rebounds per game, led his team to the state quarterfinals, and was named to the All-State team by the Detroit Free Press. He initially went to Long Beach State in California to play ball for Jerry Tarkanian but soon returned home to play at Eastern Michigan University in Ypsilanti. He averaged 29.5 points per game at EMU as a sophomore in 1971-72. Gervin's college career soon ended when he was involved in a fight during a game and then was dismissed from the EMU team, allegedly due to NCAA eligibility issues. Gervin took his game to the Eastern Basketball Association, a minor league, but his minor league career did not last long when a scout from the Virginia Squires of the ABA saw him play. He played with the Squires for the last 32 games of the 1972-73 season and remained with Virginia until he was traded to the San Antonio Spurs during the middle of the following season. Gervin's scoring output exploded in San Antonio where never scored less than 20 points per game. He made three straight ABA All-Star Games. Then San Antonio joined the NBA after the 1975-76 season, and Gervin made the next nine NBA All-Star Games. He was the NBA scoring champion four times and finished his career with a total of 26,595 points, and his 26.2 point per game scoring average in NBA games is the ninth best average all-time. Gervin was inducted into the Basketball Hall of Fame in 1996. Stanley Ketchel, or Stanislaw Kiecal, was born in Grand Rapids to Polish immigrant parents. Ketchel ran away from home as a teenager after his parents both died and ended up in Butte, Montana. In Butte, he fought his first 42 boxing matches, losing only twice. He earned the nickname the "Michigan Assassin." 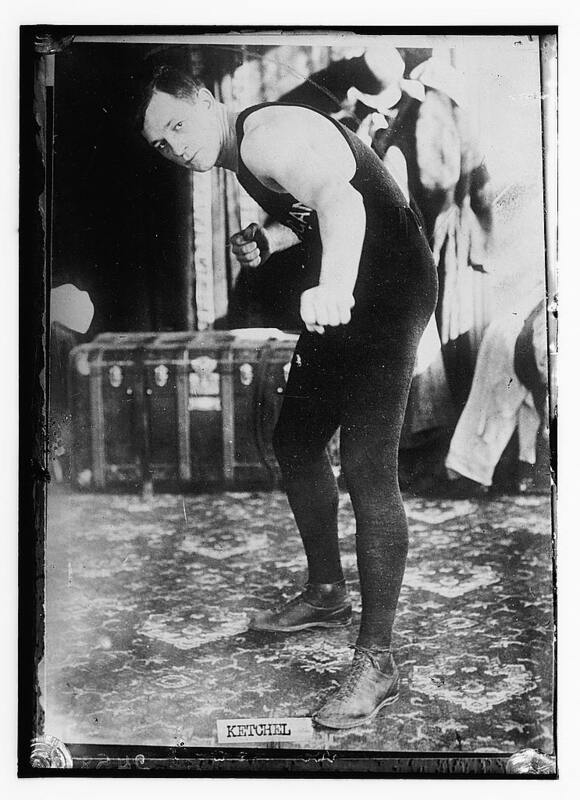 He won the middleweight world championship in 1908. 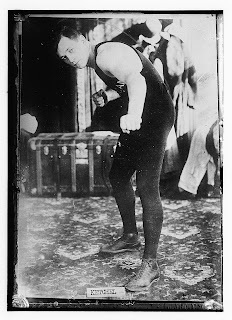 His most famous fights were four fights against Billy Papke (in which Ketchel won three), and a fight against the great heavyweight champion Jack Johnson. Johnson won the match, but not without Ketchel knocking him to the canvas once. Ketchel was gunned down in 1910 at the age of 24, reportedly by a hired hand on ranch where he was training. Ketchel won 52 of his 64 fights with 8 fights ending in a draw or no decision. Of his 52 wins, 49 were by knockout. Ketchel was inducted to the International Boxing Hall of Fame in 1990. Thomas Hearns was born in Tennessee but moved to Detroit when he was five years old. As a kid growing up in the 1980s in Metro Detroit, Thomas Hearns was the only boxer I knew. He was not flashy like his rival, Sugar Ray Leonard, but he did his job in the ring and did it well. His work ethic and lack of flash made him a hero in the City of Detroit. Los Angeles and New York can have their headline-seekers, but Detroiters value athletes who lower their heads and fight. Hearns was a hard hitter who won 61 of his 67 professional sports (really 62, because let's face it, he was robbed by the judges in the rematch with Sugar Ray). Hearns was the first boxer in history to win five world titles in five different weight classes. He was elected to International Boxing Hall of Fame in 2011. Mike Modano was born and raised in Metro Detroit and began playing hockey at age 7. At age 15, he moved to Canada to play hockey for the Prince Albert Raiders in Saskatchewan. In 1988, the Minnesota North Stars used the number one pick in the NHL Entry Draft to select Modano. He quickly impressed in Minnesota and made the All-Rookie team during the 1989-90 season. Modano remained in Minnesota until the franchise moved to Dallas for the 1993-94 season and did not leave Dallas until his final season in 2010-11. Modano was a seven time All-Star and won the Stanley Cup with the Stars in 1999. Modano holds records for the most career points and goals by an American born player. He currently is ranked twenty-third all time for career points and goals, eleventh in game-winning goals, and twentieth in shorthanded goals. Jerome Bettis did not play football until trying the sport at Detroit Mackenzie High School. He excelled at Mackenzie, earning the honor of being named the top football player in Michigan by the Detroit Free Press. He also earned a scholarship to the University of Notre Dame. At Notre Dame, he rushed for 1,912 career yards, averaging 5.7 yards per carry. The Los Angeles Rams drafted Bettis with the 10th overall draft pick in the 1993 NFL draft. Bettis made an immediate mark in the NFL by rushing for 1,429 yards, making the Pro Bowl and earning Rookie of the Year honors. He spent his first three seasons with the Rams before being traded to Pittsburgh where he spent the last ten years of his career. In his first six years with Pittsburgh, he never rushed for less than 1,000 yards. Bettis made six Pro Bowls during his career and is ranked sixth all-time for career rushing yards in the NFL. However, the highlight of his career was winning his only Super Bowl in his final game of his career while playing in his hometown of Detroit. Before Bo Jackson and Deion Sanders played two sports professionally, Detroiter Dave DeBusschere pitched for the Chicago White Sox and was a Hall of Fame Basketball player for the Detroit Pistons and New York Knicks. Born in Detroit in 1940, DeBusschere went on to Detroit Austin Catholic High School where he led his school to a Class A basketball state championship in 1958. He scored 32 points in the championship game victory over Chet Walker's Benton Harbor team. He was also a pitcher for Austin Catholic's city champion baseball team. DeBusschere stayed in Detroit and played baseball and basketball for the University of Detroit. He led the Titans baseball team to three NCAA tournaments and the basketball to one NCAA tournament. He scored 24.8 points per game during his career at U of D.
Following his graduation from college in 1962, he had a choice between playing professional basketball and professional baseball. DeBusschere chose both. He signed with the White Sox and the Pistons. DeBusschere spent four years with the Chicago White Sox organization, including parts of two seasons in the majors. His career ERA with the White Sox was 2.90, and he went 25-9 with their AAA team in Indianapolis. The highlight of his pitching career was a six-hit shutout against the Cleveland Indians on August 13, 1963. DeBusschere first several seasons in the NBA were tumultuous. The Pistons made the playoffs in his rookie year, and he was named to the All-Rookie team, but nothing went right with the Pistons after that. He was even named player-coach early in his career, perhaps to entice him to give up baseball, and watched the Pistons struggle to a 79-143 record under his watch. Eventually, he was traded to the New York Knicks and his career was reborn. He won two NBA championships with the Knicks and made five All-Star teams (in addition to the three All-Star games he played in with Detroit). DeBusschere could score, but he was also a great rebounder and defender. He made the NBA All-Defensive team six times with New York. DeBusschere also ranks thirty-second all time in rebounds per game. A boy who grew up on a farm in Livingston County in the early 1900s is the greatest baseball player that the state of Michigan has ever produced. Charlie Gehringer developed a love of baseball on the family farm while playing with his older brother. He went on to play for the Fowlerville High School team and the town's team before enrolling at the University of Michigan. He remained in Ann Arbor for only one year, playing football and baseball, but professional baseball came calling. He became a fixture of the Tigers infield from 1926 until he joined the Navy in 1942. As a second baseman, Gehringer led the American League in fielding percentage for second basemen seven times. He also was a phenomenal batter, and earned the nickname the Mechanical Man because of his steady performance at the plate. He batted .300 or above for thirteen seasons. Former Yankee pitcher Lefty Gomez said that Gehringer "hits .350 on opening day and stays there all season" and that "whenever I'm pitching, he's on base." Gehringer played in the first six All-Star games, and probably would have made more All-Star teams if the game was played during his first seven seasons in the league. In 1937, he won the AL batting title with a .371 and was named the AL MVP. Gehringer finished in the top 5 in AL batting average six times, and his career batting average of .320 places him at 51st all time. He led the AL in hits twice and had more than 200 hits in a season seven times. He finished his career with 2,839 hits. 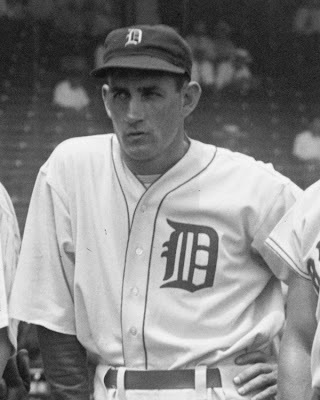 Gehringer was a member of three AL champions with the Tigers and helped Detroit win its first ever World Series by batting .375 during its victory over the Chicago Cubs in 1935. He was inducted into the Baseball Hall of Fame in 1949, and the Tigers have retired his #2 jersey. Earvin "Magic" Johnson was born in Lansing and grew up with a love for the game of basketball. He went on to Lansing Everett High School where he first was dubbed "Magic." During his senior season, he averaged 28.8 points and 16.8 rebounds per game while leading Sexton to the state championship. Jud Heathcote recruited Magic to Michigan State. As a freshman point guard, he scored 17 points per game and averaged 7.9 rebounds and 7.4 assists per game. The Spartans went 25-5, won the Big Ten and made it to the Elite Eight of the NCAA tournament. Magic's sophomore year with the Spartans was remarkable in many ways. He scored 17.1 points per game and averaged 7.6 rebounds and 8.4 assists per game. The Spartans again won the Big Ten and made the NCAA tournament. They stormed their way to the Final Four with their closest margin of victory being a 12 point victory over Notre Dame in the Elite Eight. In the national semifinal they destroyed Penn 101-67, and then a rivalry was born. The 1979 NCAA championship was the birth of one of the greatest individual rivalries in basketball. Magic Johnson v. Larry Bird. Bird was a two-time All-American senior forward from Indiana State who had led his team to an undefeated season. America wanted to see if the small school from Indiana could beat the Big Ten school from Michigan. Magic scored 24 points to Bird's 19, and the Spartans won their first ever NCAA crown 75-64. The Los Angeles Lakers selected Magic as the number one overall draft pick in the 1979 NBA draft, and Magic immediately proved his worth in the league. During his rookie year, he averaged 18 points, 7.7 rebounds and 7.3 assists per game. Magic was named a starter in the All-Star game, made the NBA All-Rookie team, but watched the Rookie of the Year Award go to Larry Bird. As a 6'9" point guard, Magic towered over most point guards and many forwards of that era. During his rookie year, the Lakers called on him to use his height and athleticism at center during the NBA finals. Future Hall of Fame Center Kareem Abdul-Jabbar sprained his ankle before Game 6 against the Philadelphia 76ers. Magic's dominated. He scored 42 points and grabbed 15 rebounds in the Lakers 123-107 victory. He was the Finals MVP. 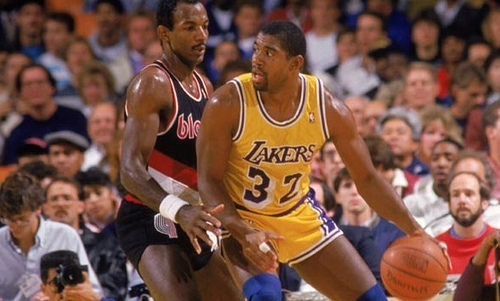 Magic's performance was the beginning of the Lakers dynasty of the 1980s. Magic led the Lakers to eight more NBA Finals, winning four of them, and two more Finals MVP awards. His Lakers faced Bird's Celtics in three finals, with Magic's team coming out on top twice. Magic made twelve All-Star teams and was on the 1992 Olympic Dream Team. He was the NBA MVP three times during his career. Magic is ranked first all-time in assists per game, and fifth all-time in total assists. He ranks nineteenth all-time in steals per game and sixty-fifth in points per game. He was a first-ballot Hall of Fame selection. Magic's career ended with an HIV diagnosis in 1991 (although he did make a brief comeback during the 1995-96 season). Despite the lethality of HIV at that time, Magic fought it and has survived more than 20 years. Magic won championships in high school, college, the Olympics and the NBA and is a winner in the business world. Although the fight is not over, he has effectively beaten HIV. Best of all, Magic has done it all with class. Michigan should be proud. Yes, Joe Louis Barrow was born in Alabama in 1914 and did not move to Michigan until he was twelve, but Detroit is where his quest to become heavyweight champion of the world was born. He picked up boxing at a recreation center on Brewster Street in Detroit and worked at Ford's River Rouge plant to help his family financially. 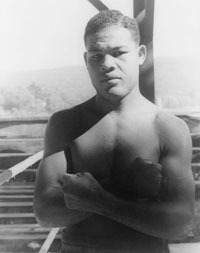 Fighting under the name "Joe Louis," he quickly ascended the amateur ranks after losing his debut fight when he was 17. In 1933, he won the Novice division of the Detroit Golden Gloves. Louis ended up posting a 50-4 amateur record before turning professional in 1934. Louis went 27-0 to begin his professional career, with twenty-three of those wins by knockout, and was considered the number one contender for the heavyweight crown. In June of 1936, he was scheduled to fight former world heavyweight champion Max Schmeling of Germany. Few considered Schmeling to be a threat to Louis' path towards the championship. However, Schmeling stunned the boxing world with a 12th round knockout of Louis. Schmeling became Adolph Hitler's darling and was proof to Hitler of his theories of the German master race. Despite his setback to Schmeling, Louis fought his way back into contention for a title shot. On June 22, 1937, he was given his shot against heavyweight champion James Braddock. He knocked out Braddock in the eighth round, thus beginning the longest heavyweight championship reign of all time. Despite the championship, Louis wanted a rematch with Schmeling to prove that he was the greatest fighter in world. After three title defenses, Louis got his wish on June 22, 1938. Two years earlier in Berlin, Jesse Owens embarrassed Hitler and his notions of Aryan supremacy with four Gold Medals on the track. Despite the tragedy of American segregation, Owens became a national hero, not just to blacks, but to many white Americans as well. Even though Owens dominated in Berlin, Hitler and his Nazi propagandists could still rest their laurels on Schmeling's defeat of Louis. It was time for Louis to land a knockout blow. On June 22, Louis, with most of America rallied behind him, faced Schmeling in New York City in a sold out Yankee Stadium. In Schmeling's defense, he never wanted to be the poster boy for Aryan racial propaganda and later became good friends with Louis, but on this day, Schmeling did not stand a chance. Louis came after him hard and knocked Schmeling down three times in the first round and was declared the winner by technical knockout two minutes and four seconds into the fight. After a few title defenses, Louis saw his heavyweight career take a brief hiatus during World War II. Louis, the American hero, unfortunately faced segregation in the Army after enlisting as a private in 1942. Despite Louis and Owens defeating Germany on the track and in the ring, the United States would not let Louis or other black Americans serve in units with white Americans. After returning from his military service, Louis defended his titles a few more times, but did not appear to be the same fighter he was before the war. He retired in 1948 after twenty-five successful title defenses, which is still a record to this day. His retirement did not last long due to financial troubles. However, his return to the sport was not a return to glory. He did not regain the world championship despite winning several fights, and his record was tarnished with the second and third losses of his professional career. His final match was an eight round loss to the much younger future champion, Rocky Marciano. Despite the inglorious end to his career, Louis, like Owens before him and Jackie Robinson after him, was an American hero. His greatness in the ring challenged American's notions of racial identity and helped white Americans realized the hypocrisy of cheering for black athletes on the playing fields while preventing them from eating in the same diners, attending the same schools or serving in the same military units. Joe Louis died in 1981, but his legacy will live on forever. As long-time boxing journalist Jimmy Cannon stated, "Joe Louis is a credit to his race-the human race."